If you’ve ever seen a red brick home with a pink door, you know of the faux-pas that some people commit when trying to find a unique door colour. Use colour theory to determine what will work for you. If your home’s exterior is made of red brick, stick to shades that will bring out and complement the other tones present in your home’s exterior, like a creamy white or beige. Coordinating with your home’s other accents is also always a good idea to create a cohesion to the look of your home, starting with your front door. Many choose to stick with neutral shades to avoid clashing colours and strange, too loud compositions. Despite this, don’t be afraid of experimenting with bold colours. A home with a neutral outside composition can easily be livened up through a daring splash of colour in the front door. Experts also suggest that bright colours tend to feel less bold in the direct sunlight of the outdoors, thereby the bolder, the better for exterior door use. If you’ve created an interior design in shades of blue, consider sticking to your plan in the outdoor portion of your home as well. A varying mix of shades can complement the outside of your house in addition to the inside, and a creative front door colour can liven up the first impression of your home’s interior. 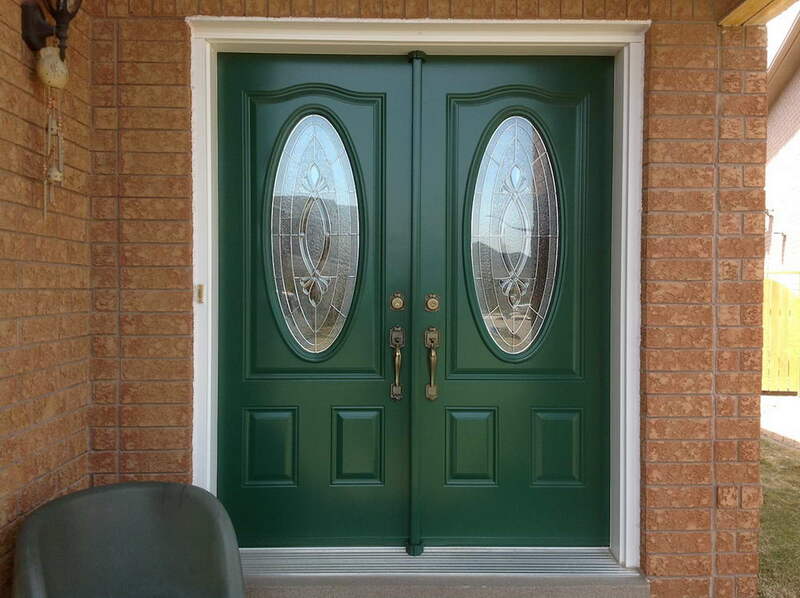 Also, consider how your current door’s accents will look with the colour. An entry door with a metal exterior and glass inlay may not be as complimented by that bright aubergine as a simple wooden door. 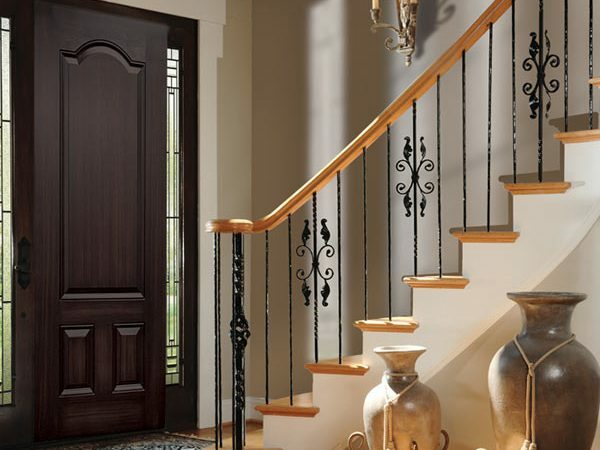 For intricate doors, a simple shade might be sufficient, and vice versa for front door styles which are less imposing. 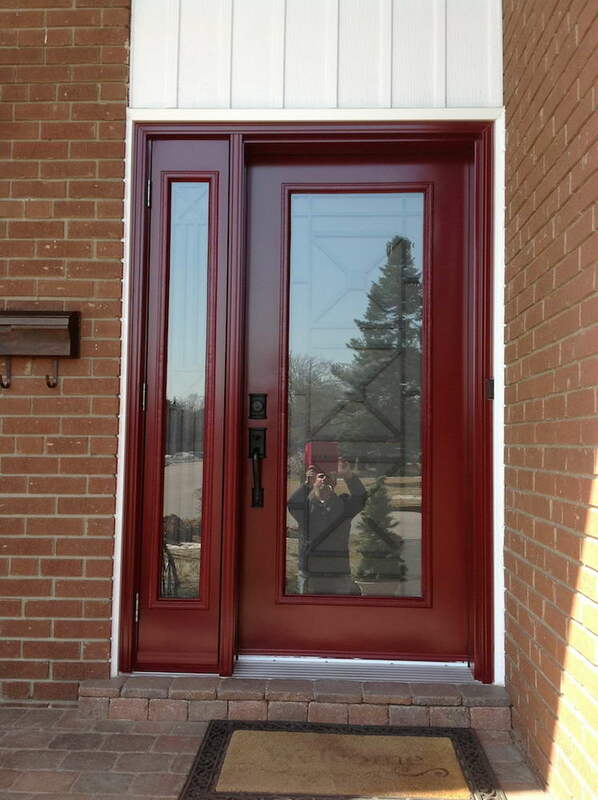 The kind of paint you use will ultimately depend on the quality and style of your door. An older, worn door coated with gloss will bring out the imperfections and holes in the material. For older wooden doors, opt for a matte colour which will dampen and reduce those flaws. Meanwhile, a glossy coat of paint can accentuate the edges around a glass inlay very well. Take time to learn about the material of your door before you paint, as certain kinds of doors are prone to flaking and peeling. 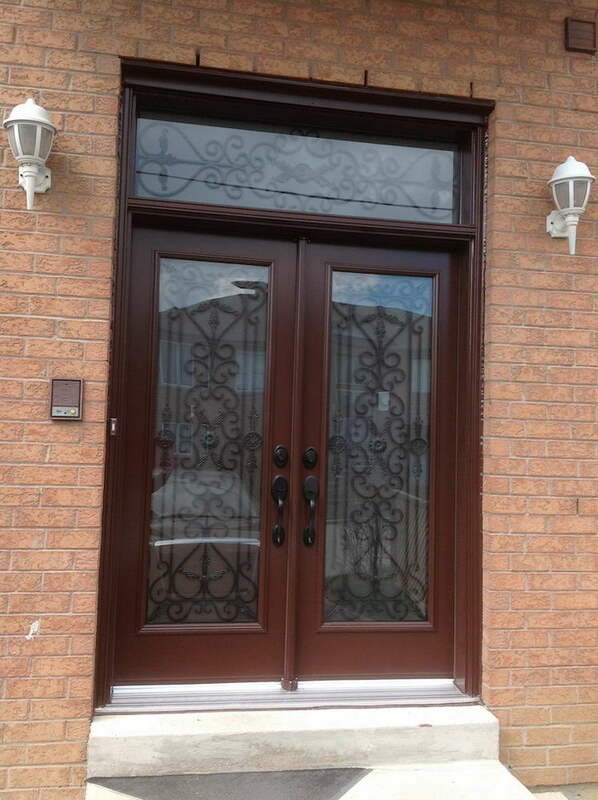 Your entry door is the key to your home’s statement look. 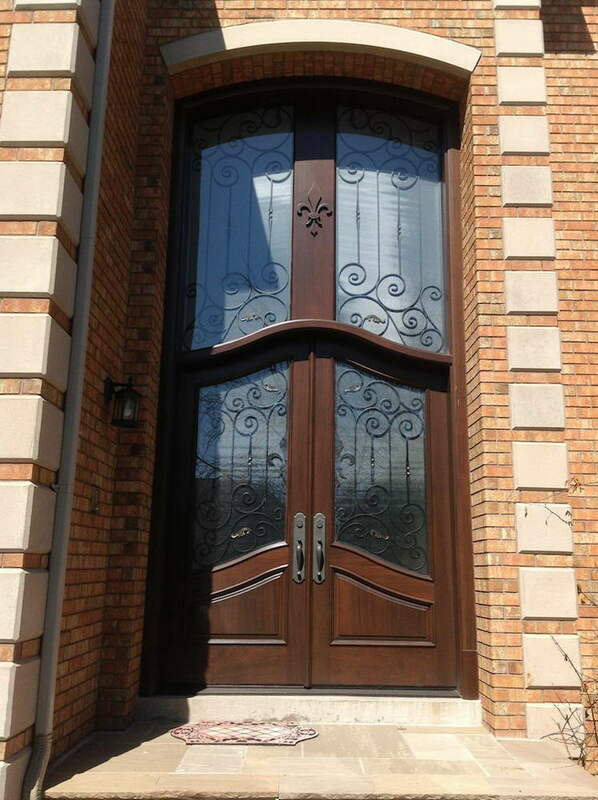 A gorgeous door immediately raises the curb appeal of your home, and is an excellent way to make your house stand out from the others on the street. Milano Windows and Doors is a company that is dedicated to a quality door and window products, as well as their seamless installation. 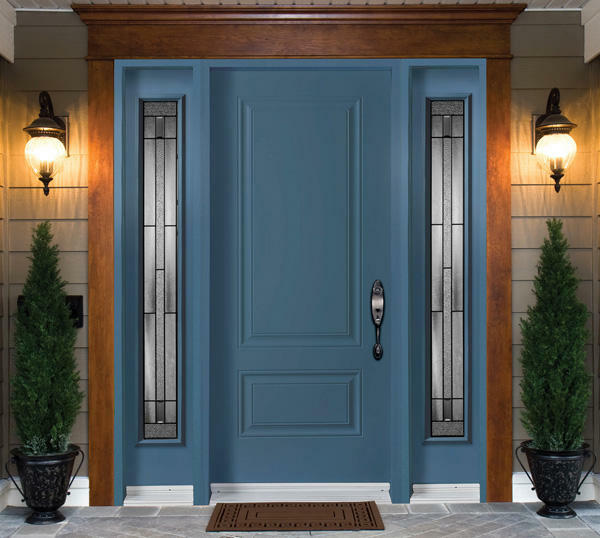 If you’re considering purchasing a new door for your home’s exterior or interior, out company is your single stop for the absolute best quality products. 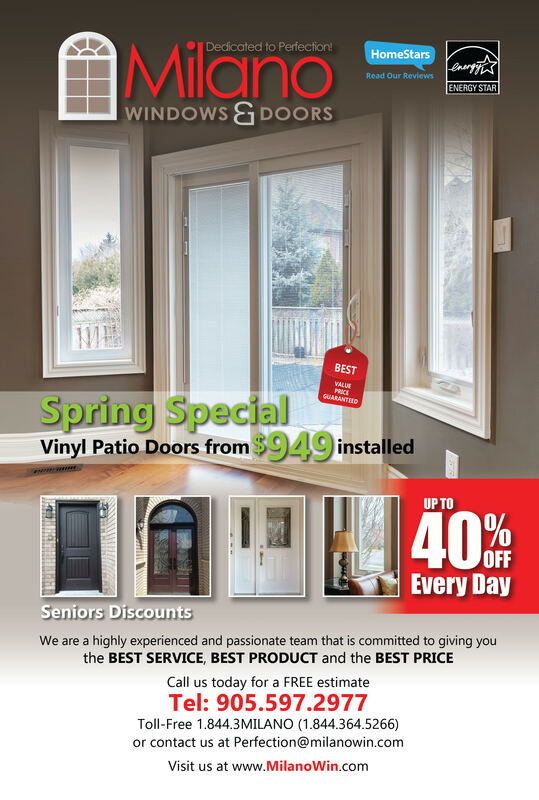 Milano Windows and Doors is a GTA based company that serves all of Toronto, Vaughan, Richmond Hill, Maple, Newmarket, Mississauga, Brampton and further. With hundreds of satisfied customers in the GTA, we guarantee 100% customer satisfaction and excellent services. Contact us today with any questions you may have about replacing your doors or windows, as well as installation services. Give us a call at 905-597-2977.